Some of you may have popped in to check out the new HealthfulPursuit.com… as you can see, we’re still running with the classic version. I want the new site to be just perfect for you and there’s still a couple of glitches so we’re holding out for a couple more days. I don’t come with all sad news. Today? We have crepes to make. And not just any crepes, Re-networked crepes. 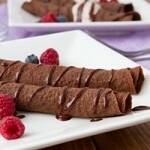 I’ve chosen the first recipe for this monthly Food Re-networked series – Chocolate Crepes from Giada De Laurentiis. Once heated, spray with non-stick cooking spray. 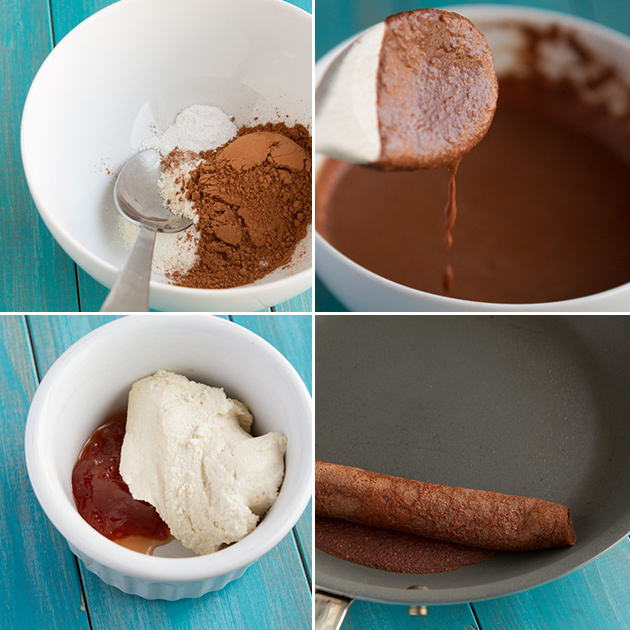 Pour batter into a ¼-cup measuring cup, then pour from the measuring cup into the preheated pan. 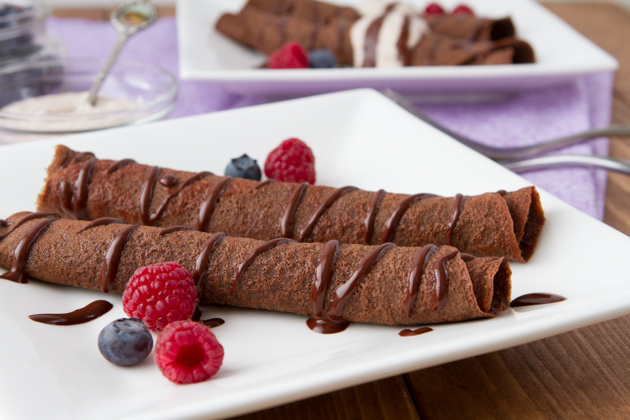 While the crepes are cooking, prepare the chocolate sauce by combining ingredients in a small dish. Set aside. Do the same with the strawberry marscapone. Patience is the name of the game with crepes. You really have to be patient with these guys. If the heat is too high, the batter will boil and not sit flat. 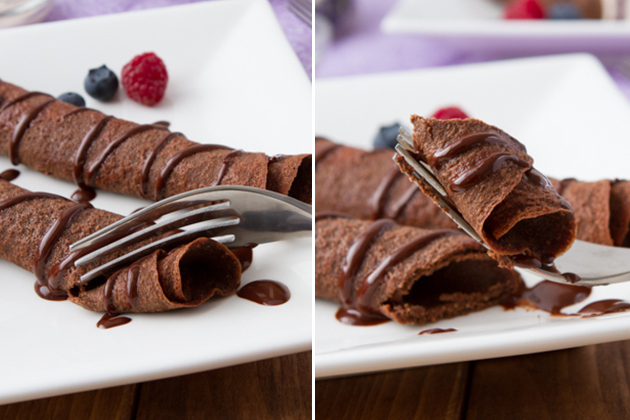 If you roll too quickly, the crepes will tear. 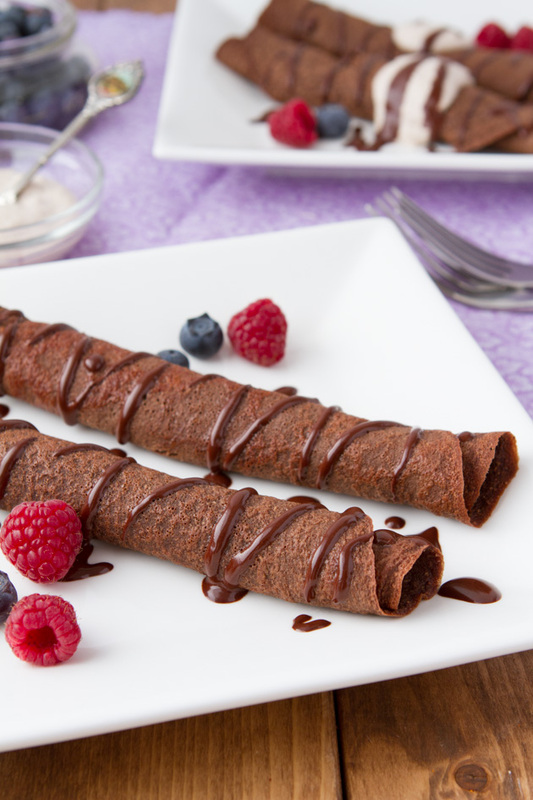 But girl… YOU CAN HAVE CREPES AGAIN! Which Food Network recipe would you like me to re-network in February? I would love to know – Who is your favorite Food Network Chef?